Leeds is leading the way in developing and piloting an open platform based Person Held Record (PHR) for local people. It follows extensive engagement with individuals, care professionals and stakeholders across the city to understand their needs and aspirations. It is believed a PHR will help people to better manage and control their own care and wellbeing and help prevent further health issues. The PHR programme will be led by Leeds City Council in partnership with NHS organisations across the city. The technology will be built on an internationally leading open source platform for the health and care sector, developed in Leeds by the Ripple Foundation. Leeds’ philosophy around digital technology of simplify, standardise and share allows flexibility and scalability with the intention to share easily with others across the nation. Phase one will enable people to register, verify their identity and log into their PHR. It will let people contribute and update information about themselves, for example, a top three things to know about me. It will also integrate with the Leeds Care Record that is widely used by care professionals across the city. Leeds is also hoping the market will help create apps and functionality that will work with the open platform because they conform to the standards set. For example, if you have a chronic long term condition, you will be able to personalise your PHR with this information, allowing for a more joined up view. Dr Tony Shannon, Director at Ripple Foundation added, “Healthcare is suffering from an underperforming health IT sector which makes it harder for care professionals to work with their patients efficiently and effectively. By building their Person Held Record on an open platform, in line with the international open EHR standard, Leeds has started a transformational move to future proof its healthcare IT systems. Ripple Foundation is proud to be leveraging the multi-purpose QEWD.js as a world leading integration framework to meet the increasing demands of Healthcare IT. QEWD.js is an incredible versatile middleware that Ripple Foundation, a not for profit organisation, is endorsing as part of its showcase stack in the pursuit an open health and care platform to improve clinical systems. It offers an integration framework that can link the UI components you need with the APIs you want and the database you use. QEWD.js is a framework that is perfect for web integration challenge because it is fast, capable, flexible and scalable. Dr Tony Shannon, Director of Ripple Foundation said, “QEWD.js is a key component of the Ripple Foundation’s showcase stack and should be taken very seriously. It’s been cleverly crafted by Rob Tweed and it’s an incredibly versatile integration framework that is swift, agile and flexible. If you combine QEWD.js with the rest of Ripple Foundation’s showcase stack – PulseTile and EtherCIS – they offer the basis of an open platform that can be used across the world – large or small scale. Being modular, the flexibility is yours – please use it, get involved, build upon it and share the learning”. The world of healthcare can now begin to leverage the power and potential of the EtherCIS Clinical Data Repository. EtherCIS development has been supported by the non profit Ripple Foundation and this leading technology now provides the key foundation of its “showcase stack” and work towards an open platform in healthcare. EtherCIS development is led by Christian Chevalley of ADOC Software Development and the EtherCIS technology is now the leading open source implementation of the openEHR standard in action (including AQL support). The openEHR standard has been adopted and implemented across healthcare systems throughout the world, representing the future of health IT. Christian Chevalley of ADOC Software Development said, “EtherCIS being open sourced is not accidental, it is organically inherited from its fundamental components and philosophy. It is based on the open standard openEHR that specifies an open, vendor neutral, patient centred clinical data handling and knowledge engineering. Its implementation has been feasible due to the remarkable progress of the open source database PostgreSQL supporting the combination of relational and document typed data efficiently. Most of EtherCIS components have been derived from open source building bricks: service architecture, object oriented database querying, data serialisation, Web communication etc. As such, it is the result of the contributions of hundreds of analysts and developers. Christian continued to say, “Open Source entitles anybody to have access to the source code, uses and copies the software and contributes to it; it is technically extremely convenient, however to promote successfully EtherCIS into the highly competitive Healthcare IT arena, it had to be free as in Libre. 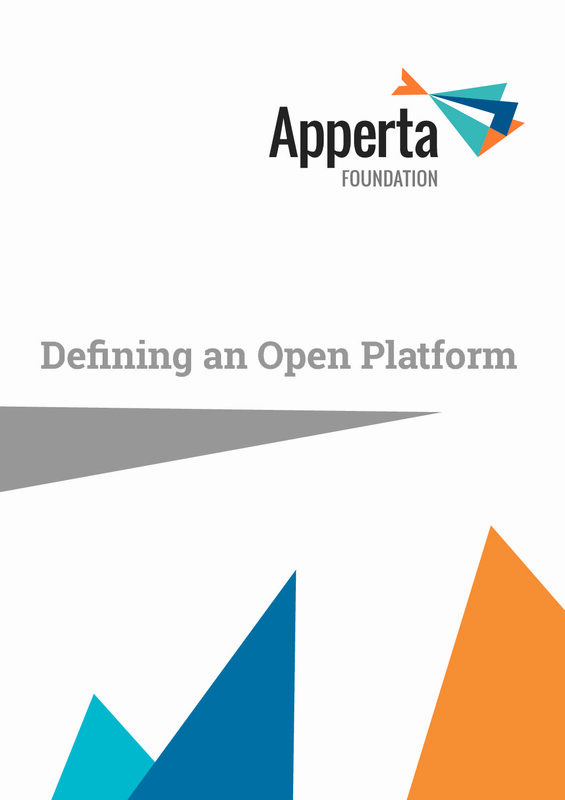 As a free and open software platform, it gives the freedom to anyone to create copy and run a clinical applications that is respectful of the fundamental right to store, query and interchange medical information without being tied to a specific vendor, proprietary encoding or physical location. Ripple Foundation is supporting and promoting the #1percent open digital platform challenge fund that is hoped will stimulate and support both the creation and adoption of an open digital ecosystem for the nation. Put another way… it is an open data standard, both vendor and technology neutral, that’s been designed to support the needs of 21st Century Healthcare. Each video is approximately two minutes long and can be shared with anyone who wishes to understand more about openEHR. This short video is part 2 of a 3 part series to help explain openEHR, the future of healthcare IT. This short video is the last of a 3 part series to help explain openEHR, the future of healthcare IT.